Jump to lightspeed in the Millennium Falcon. 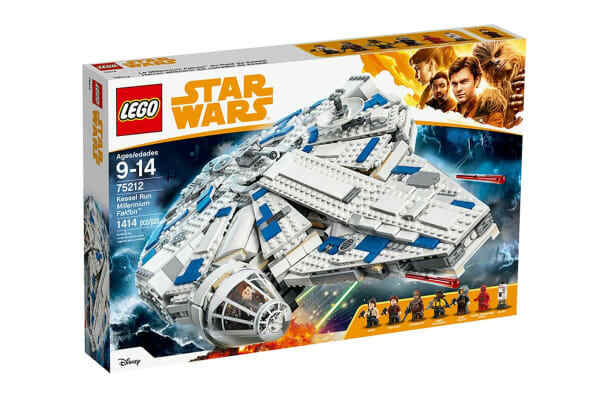 The LEGO STAR WARS Kessel Run Millennium Falcon is a brick version of the iconic Corellian freighter from Solo: A Star Wars Story. 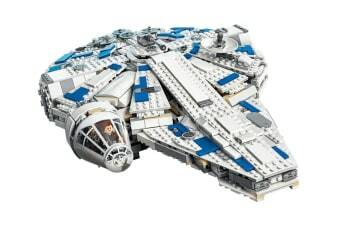 It features a 2-minifigure cockpit with detachable canopy, 2 spring-loaded shooters, sensor dish, ramp, rotating top and bottom laser turrets with 2-minifigure gunner seats, detachable escape craft and opening hull plates for easy access to the detailed interior. The interior includes a cargo area with 2 containers, navigation computer, couch and Dejarik hologame table, a bar, bunk, missile storage compartment and a hyperdrive with repair tools. 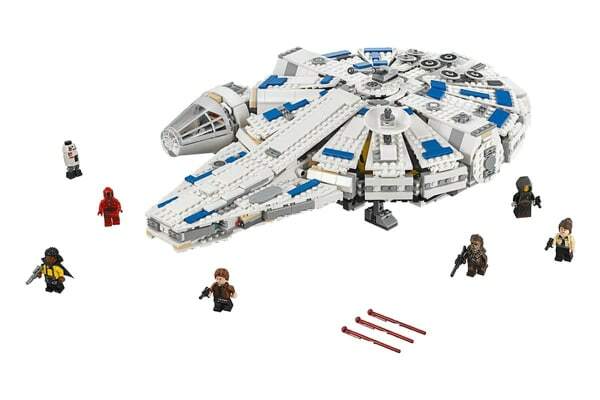 It comes with weapons like 2 blaster pistols, a blaster rifle and Lando’s blaster.